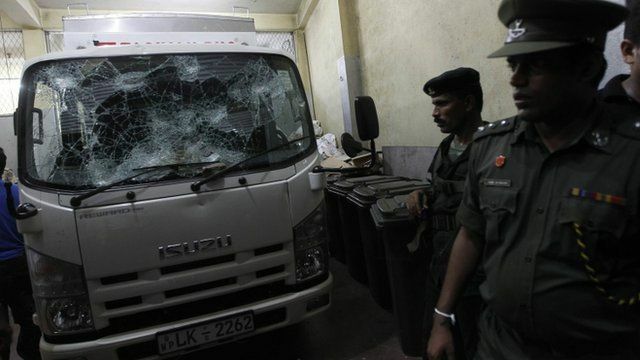 Sri Lankan Buddhists attack Muslim store Jump to media player Buddhist monks have led an attack on a Muslim-owned fashion warehouse in Sri Lanka, throwing stones and yelling insults at the owners. 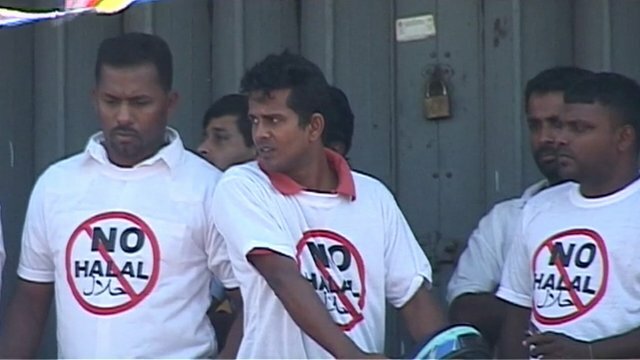 Buddhists target Sri Lanka's Muslims Jump to media player Muslims in Sri Lanka have voiced concerns about a growing number of anti-Muslim protests and attacks, carried out by hardline Buddhist groups. Buddhist monks have led an attack on a Muslim-owned fashion warehouse in Sri Lanka, throwing stones and yelling insults at the owners. Several people were hurt in the attack, and eyewitnesses say the police only intervened after the trouble spread. 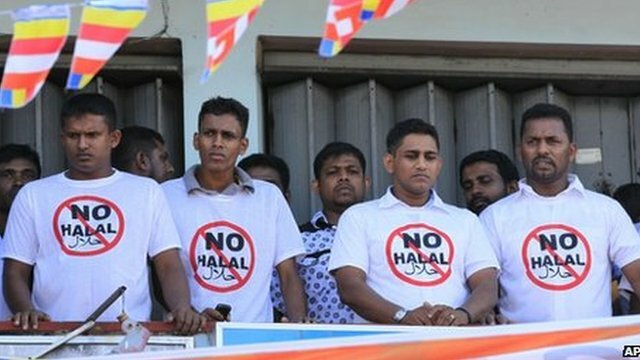 The BBC's Charles Haviland, reporting from Colombo, says hard-line Buddhist groups are campaigning against the lifestyles of Muslims.